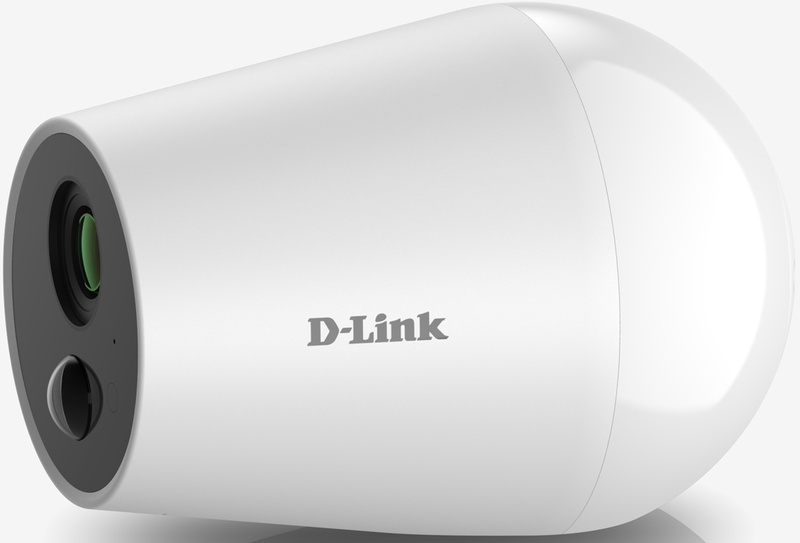 Best known for a range of networking products, D-Link is introducing several new routers and home Wi-Fi options in addition to connected cameras at CES. 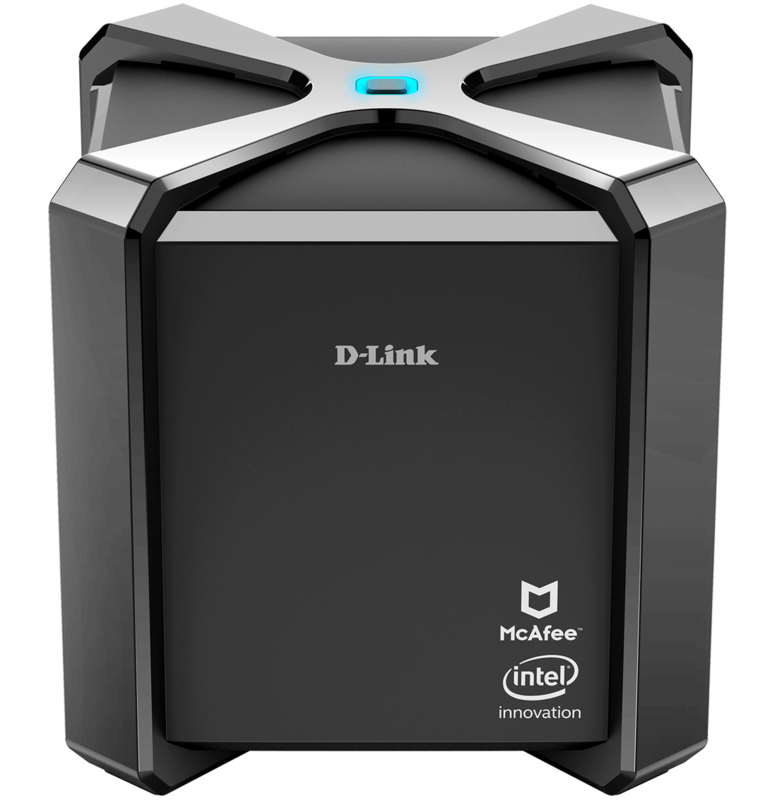 First up is the D-Link AC2600 router powered by McAfee. 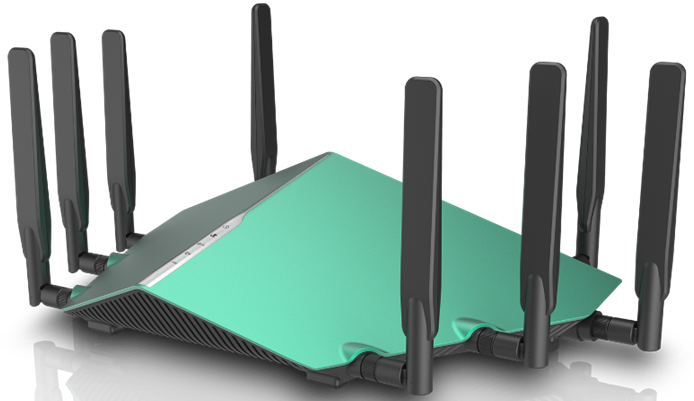 The dual-band 802.11ac router comes with McAfee Secure Home Platform that is designed to protect unwanted network access. The D-Link AC2600 uses the Intel WAV500 series chipset with GRX350 processor to handle the ever-increasing number of connected devices found in homes. A comprehensive parental control panel alongside the McAfee Secure Home Platform app can be used to monitor activity and detect any unwanted devices. Cloud-based machine learning helps identify and mitigate threats as they arise. Up to 128 simultaneously-connected devices can be monitored in real-time. Push notifications can be enabled to receive updates on potential vulnerabilities, new device connections and parental control restriction violations. Next up from D-Link are the Dual-Band and Tri-Band Whole Home Wi-Fi Systems. 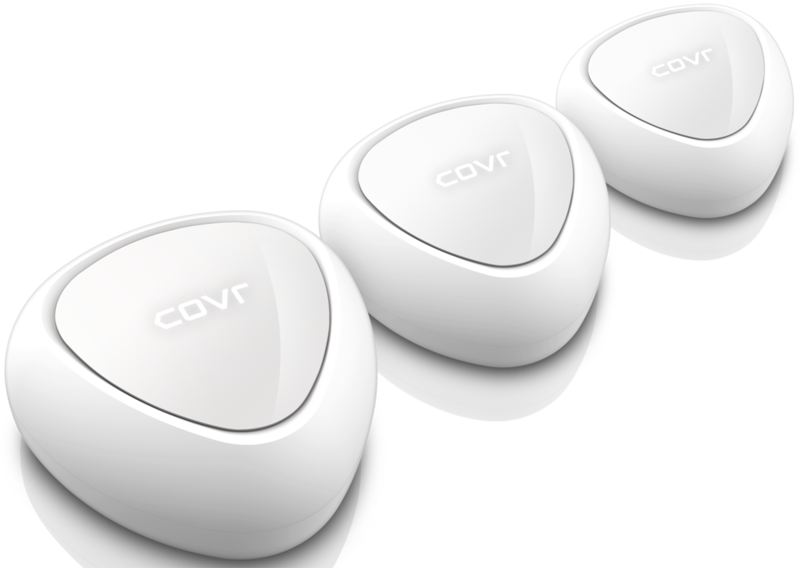 The Covr Wi-Fi systems are mesh networking products designed for regular users, not just early adopters. The dual-band Covr comes in a three-pack of AC1200 routers that can cover 5,000 square feet. The set of three routers also feature interchangeable color plates to blend in or stand out at an owner's discretion. Stepping up to the Tri-Band Covr expands coverage to 6,000 square feet and adds a dedicated 5GHz channel for communication between access points. Amazon Alexa compatibility also allows voice control over your network. Both home Wi-Fi systems come with MU-MIMO, smart roaming, smart steering and push notifications when firmware updates are available. Each carries a three-year limited warranty. A two-pack of Tri-Band routers will cost $319.99 starting in Q2 2018. A three-pack of the Dual-Band routers will be available for $249.99 later during Q1 2018. 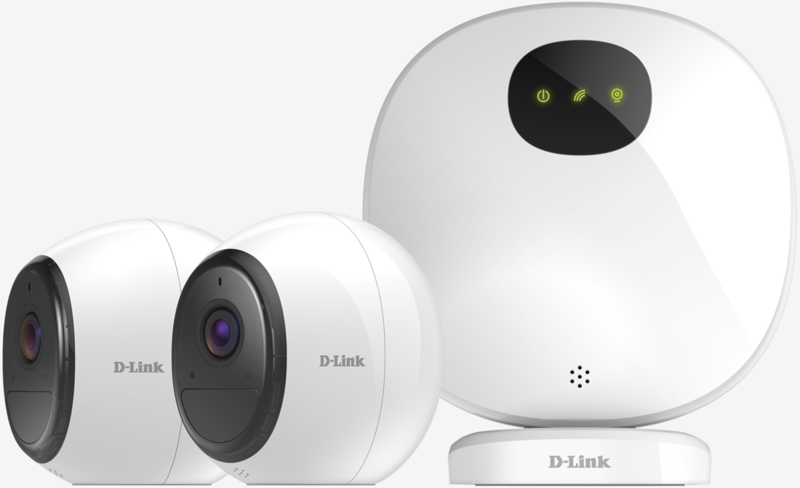 To make use of ultra-fast wireless connectivity, D-Link has also announced two new all-weather surveillance cameras. The Wire-Free Full HD Outdoor Wi-Fi Camera offers a 140-degree field of view at 1080p resolution. An integrated rechargeable battery provides up to 11 months of battery life, making the camera truly cord-free. If having Wi-Fi is too difficult of a requirement, there is also an LTE edition of the camera. Featuring nearly the same specifications but with a 113-degree field of view, the LTE version can be placed nearly anywhere since all it requires is a charged battery and cellular signal to be able to stream video. Utilizing H.265 encoding provides reduced file sizes without compromising clarity. Both network-connected cameras are sound- and motion-activated. Each has night vision capabilities up to 16 feet and can integrate with Google Assistant, Amazon Alexa and If This Then That (IFTTT). The Wire-Free Full HD Indoor/Outdoor Camera will retail for $249.99 as a single kit or $349.99 as a two-camera kit. Additional cameras can be added for $219.99 each. The LTE model will be available for $299.99. Both versions will go on sale during Q2 2018. Last on the list of improved network products are the AX6000 Ultra and AX11000 Ultra routers. Going beyond the traditional limitations of Wi-Fi, the AX6000 can reach 6,000 Mbps of throughput while the AX11000 allows for up to 11,000 Mbps. The AX6000 arrives as a green monster meant to be a future-proofing item if there is such a thing in the world of rapidly-changing standards. The AX11000 looks exactly the same but in all black. For some, that might be reason enough to opt for the higher-end model. 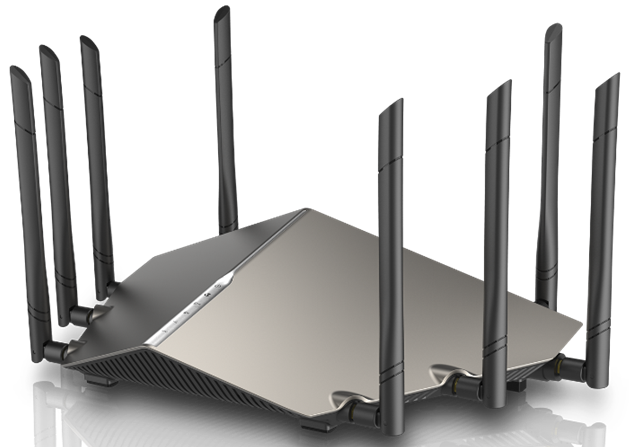 Both routers feature 4x4 MU-MIMO and have eight high-performance antennas to provide maximum range and coverage. Each router has four Gigabit LAN ports but ups the game with a 2.5 Gbps WAN port, a very nice addition to see on a product that is designed for heavy use. A USB 3.0 port and DLNA support are also included. 4K streaming and VR gaming should be no problem for either router. Both the AX6000 and AX11000 will be available throughout the second half of 2018. There is no way in hell I'm buying a router with half-baked, bloatware McAffee as part of it's OS. I'll take the router, leave the security software to my choosing, if you don't mind. Isn't McAfee like the worst Anti-Virus ever? They made money by selling to corporations, because no individual would spend money on such a crap. X10 is between $400-500 now (retailed last year for $499 but tends to go cheaper now).... I wonder how much Dlink thinks it can get away with for its AX11000?